The anterior cruciate ligament (ACL) of the knee is one of the four ligaments that hold together the three bones of the joint. Injuries to the ACL often require surgery followed by physical therapy to alleviate pain and swelling, restore range of motion (ROM) and strength, and improve mobility. Physical therapy for the knee joint is divided into four phases. By following this protocol, or one similar, you should be able to walk after ACL surgery by the end of the third week after your operation. Of course, everyone heals and responds to treatment at different rates. If you're planning to have knee surgery, here's a general idea of what to expect when you start physical therapy afterward. The main goals of Phase 1 are to protect the knee so it heals properly, to begin work on restoring range of motion of the joint, and to restore normal use of the quadriceps (thigh muscles). You'll likely need crutches during this stage, and also wear a full-length knee brace, although not all surgeons put ACL patients in a brace, as there's evidence this isn't necessary for successful recovery. In the initial post-operative period, you'll focus on learning to walk with your crutches on level surfaces and up and down stairs. Your physical therapist may use ice to help control swelling (and instruct you to do the same several times a day at home). He also may use neuromuscular electrical stimulation (NMES) to help improve your ability to contract your quads and start you on gentle exercises to restore range of motion to the knee (from fully straight to 90 degrees bent. Swelling should be under control and you should be able to easily contact your quadriceps. The goal of this phase is to stop using crutches and begin to walk normally while still providing protection for your healing knee. Your therapist will continue to ice your knee and use NMES. Strengthening your hips will be key to allowing you to progress from using to two crutches, to using one, to putting them away altogether. At the same time, you'll do exercises to improve control of your quads and to strengthen the hamstring muscles in the back of your leg. You may start using a BAPS board in the seated position for balance and proprioception. By the end of this week, you'll be walking almost normally. The only thing that might give away the fact that you've had surgery may be a slight bend in your knee, which will disappear as your range of motion improves. Your hip exercises may become more advanced, and you may begin to use light weights while doing straight leg raises. You'll progress to using the BAPS board in the standing position. During this phase of ACL rehab, the goal will be to get your leg even stronger, so that by the end you'll have progressed from walking to light jogging. Among the exercises you'll be doing during these three weeks are exercises to improve balance; squats and lunges to strengthen your quads and glutes (the muscles in your backside); plus the straight leg raises and advanced hip strengthening exercises you've been doing already. By the end of week 6, you may move on to gentle plyometrics and hopping. You'll no longer need icing or NMES. Besides having you continue with the exercises you've been doing and perhaps adding resistance to some of them, your physical therapist may test the integrity of your ACL. If you no longer have knee pain and your knee is stable, by the end of the week eight you can begin to jog. During this phase, you'll progress from jogging to running. It's important to not overstep your abilities, though: Even if you're feeling great, it's too soon to participate in high-level sports that involve a lot of starting and stopping or cutting. You'll continue with your regular exercise regimen. 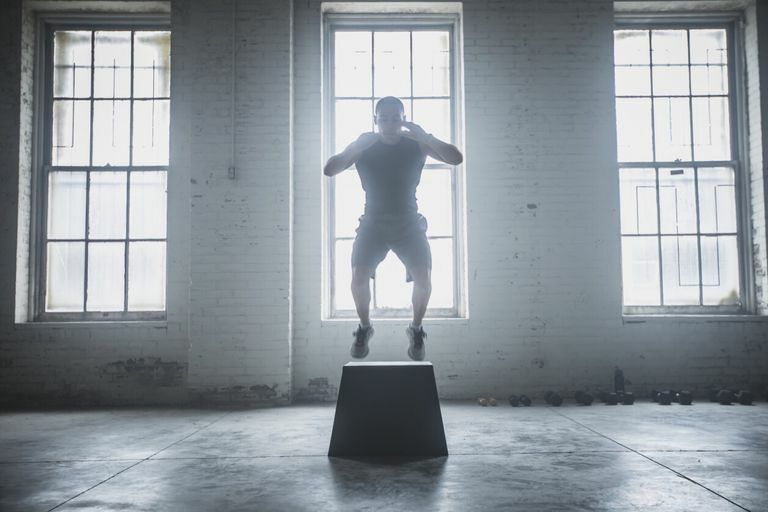 At three to four months after ACL surgery, your physical therapist may have you do single leg hop testing to see if your knee is stable enough for high-level athletics that require sudden starts and stops or cutting maneuvers. If you're an athlete and he gives you the go-ahead, you should be able to get back to playing sports. Recovering from ACL surgery can be tough, but you may be surprised how fast you progress from walking with crutches and a limp to walking normally again. By working with a physical therapy and doing the right things (at the right time), you can quickly and safely return to your previous level of function.